The idea behind this kite is “one kite for all conditions. 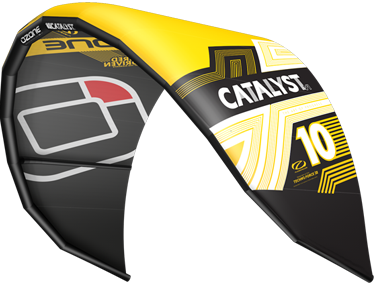 The Ozone Catalyst was designed for a beginner but can handle even the most advanced kiteboarding styles. 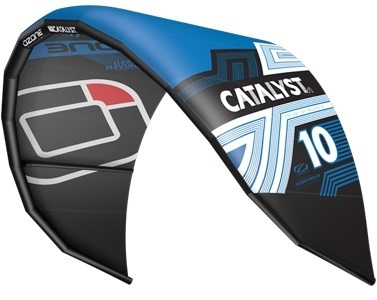 Freeride, waves and long down-winders are all done easily with this one kite. 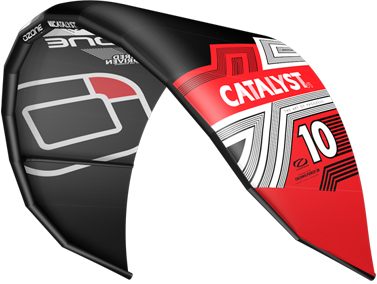 It’s the safest, more predictable and most affordable kitesurfing kites for the performance that we’ve tested. It can take a beginner safely from the first steps right through to ripping it up in all aspects of the sport. At the same time it can satisfy and impress seasoned riders of all levels. 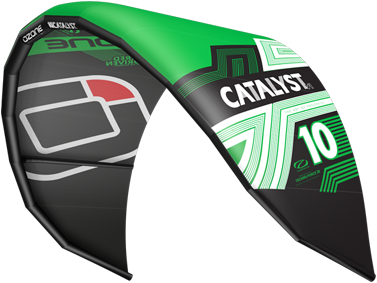 The 2012 Ozone Catalyst kitesurfing kite is designed for riders looking for an incredibly versatile and easy kite to ride for both freeride and waves. This kite is nowadays pretty cheap compare the latest models and we love it for teaching and for allround userfriendly performance.This kite can do everything what you need on a begiiner and intermediate level and the material quality is really high > almost never leaking,tear etc. Performance is average,not like Edge,so it's better for freeriders.